"There were a number of factors that influenced my selection of Charlene. Primarily, her years of communications experience in an art museum environment, but also her personality and interests were also key." 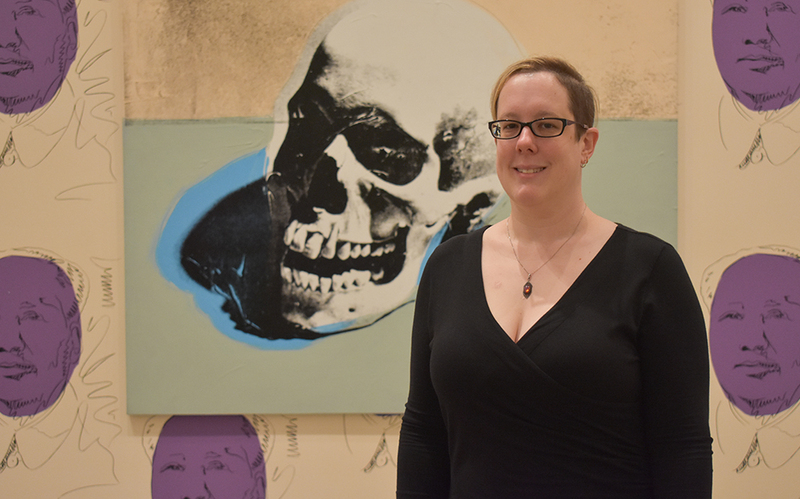 How did you land the position of communications manager for The Andy Warhol Museum? My nearly eight-year background in marketing and communications for arts organizations, as well as my degrees earned at Point Park University, gave me the skills and experience I needed for this position. When I interviewed for the position with Rick Armstrong, director of marketing and communications for The Warhol, we went over the details for the position and my qualifications and I knew it would be a great fit for me. Soon after the interview, Rick contacted me to let me know I was his chosen candidate for the position. My work as communications manager includes: managing and evaluating The Warhol's social media presence; writing and distributing press releases and organizing media coverage; providing content for e-blast communications; editing program, event, exhibition, website and any other promotional material descriptions for style and consistency; adding events and programs to The Warhol's website; and any other communications projects that may arise. My position involves a lot of creative thinking, collaborating and brainstorming when it comes to developing and executing engaging social media plans and I enjoy that aspect of my work because it is ever-changing. As an undergrad and grad alumna of Point Park, what do you think makes the University unique? The location, professors and small classroom settings. Being in Downtown Pittsburgh made it easy to commute to class and if I had time in between classes, there were many things I could do in the city to pass the time. I never felt overwhelmed by the number of students in my classes. My professors always provided time for me to talk with them about their lessons as well as their previous work experiences. This helped me learn the skills and gain the experience necessary to pursue a career in my field. Some professors also helped with networking, internships and volunteer opportunities which allowed me to expand my resume. What has been your favorite thing about being back in Downtown Pittsburgh? Besides working for The Warhol, my favorite thing would probably be my much shorter commute. Before I became the communications manager at The Warhol, I was the manager of communications at The Westmoreland Museum of American Art in Greensburg, Pa. Though I really enjoyed working there, my commute was long. It's much shorter now and I really enjoy driving into Downtown Pittsburgh and the North Shore every day. The Andy Warhol Museum holds the largest collection of Warhol's artworks and archival materials. It's one of the most comprehensive single-artist museums in the world and the largest in North America. The museum also features various exhibitions throughout the year. If you're a current Point Park University student, you receive free admission with your student ID!